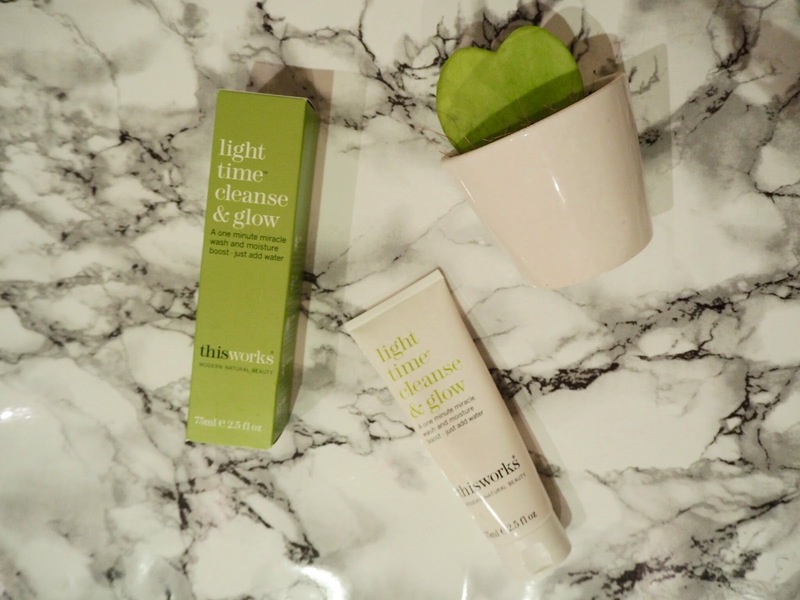 I’m a sucker for products, so when the thisworks light time cleanse & glow landed on my matt I couldn’t wait to try it. I’m on the look out for a new cleanser since a certain French pharmacy brand decided to discontinue mine. I have quite a few thisworks products now and I’ve always been impressed with them, so I had a high hopes for this product. You apply this to your face straight from the tube, you don’t need a lot as a little goes a long way. It’s quite oily to the touch but in the ‘I know this is doing me the world of good’ way. You can use this as a quick way to wash your face by only leaving it on for a minute or leave it on for up to 10 minutes for a real deep clean. You just need to add water to activate the vitamin c, then use two fingers to rub the cleanser around your face in circular motions. Then rinse off and pat dry. The great thing about this cleanser is the way it doesn’t dry out your skin or leave it feeling tight. It has lots of natural plant-y goodness such as sunflower, jojoba and mimosa waxes. So you can really feel the benefit to your skin. It’s a great way to wake up my skin on a morning and gives me skin the added boost it needs. I can actually vouch for its skin brightening effects after a week of using it. I can imagine over time I’ll see a more permanent positive effect to my skin. Have you tried any thisworks products? "What I Wore: The Intern Premiere"